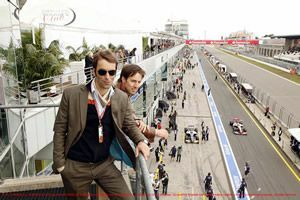 Featured at every circuit, The Formula One Paddock Club is quite simply the world's finest and most glamorous hospitality, providing unrivalled views, unparalleled access, the finest cuisine, seamless service and an extraordinary attention to detail. 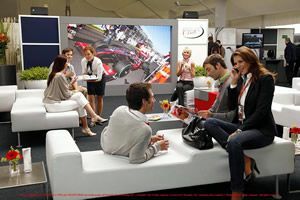 The Formula One Paddock Club is the place to be. The beautifully appointed suite above the F1 pits with video walls with multi-screen coverage of the circuit, puts you right in the heart of the action. Throughout the weekend there will be a number of opportunities to visit the Pit Lane, a unique experience that gets you behind the scenes and within the team garages on a Grand Prix weekend. Prices are for pre-season bookings; prices are subject to change. Rates are in UK sterling and subject to currency fluctuations & current VAT / TVA and subject to the 2019 Formula One Paddock Club standard terms and conditions. VAT is included where applicable and are current as at (09/01/2019) and are subject to change. Russian registered tax payers may be required to withold and pay over to the Russian fiscal authorities VAT at a rate of 18%. Where this applies, the price quoted in the table is the price after deduction of such tax. Azerbaijan registered taxpayers may be required to withold and pay over to the Russian fiscal authorities VAT at the rate of 18%. Where this applies, the price quoted in the table is the price after deduction of such tax. Please note that due to exchange rate fluctuations, the price will be confirmed at the time of booking. For Australia, Singapore and Brazil please see race event for details.